Hello. I am a 40 46 year old man living in Derbyshire Worcestershire and I am mad about flying. 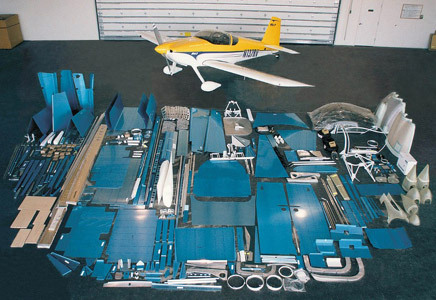 On Bank holiday morning 30/04/07 I woke up and almost immediately I had decided that I would build my own aircraft. By that evening I had decided which aircraft I was going to build. Now its also important to note that I never done anything like this before and when ever I touch metal it seems to break in my hands !! Reassuringly I will have plenty of help and advice from Bob who has built aluminium and composite single seat racing cars. My next door neighbour has shown keen interest to. Not to mention help from Derby Aero club and fellow builders. The aircraft will be built in my single car garage next to the house. Not a great deal of space and I will need to keep the noise down. After much thought and an internal need to name the aircraft more than just its registration or make I have decided to call her Spirit. With a little tongue in cheek I am calling the people who help.....Team Spirit. You can see who they are from the right hand menu.